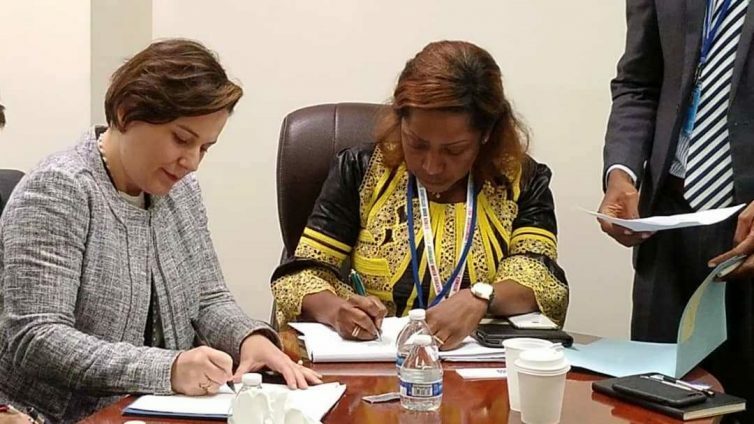 The Deputy Minister of Finance Dr Patricia Laverley during the 2018 United Nations General Assembly in New York signed a Memorandum of Understanding unbehalf of the government of Sierra Leone with Kiva Micro Funds, United Nations Development Programme (UNDP) and the United Nations Capital Development Fund (UNCDF) to facilitate the implementation of the Integrated Digital Identity and Credit Reference Project. The objective of the MoU is to provide a framework of cooperation and facilitate and strengthen collaboration between the parties, on a non-exclusive basis, in areas of common interest. With this MoU, all parties will carry forward the substantive discussions to create the project plan for the Digital Identity and Credit Reference that are in line with the vision of Ministry of Finance. KIVA has developed the KIVA Protocol, a new platform that uses decentralized technologies to enable verifiable ID and federated credit history to empower individuals where data is owned by the end-users and the system is interoperable with any digital systems. After a lengthy evaluation of 85 countries, Sierra Leone emerged as the ideal country with adequate sample size and reasonable market penetration to build a case study for decentralized identity and credit history in the world. 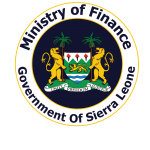 According to Dr Laverley, the Ministry of Finance, Bank of Sierra Leone and National Civil Registration authority have expressed strong interest in the project that will, among a number of other initiatives, strengthen the National Civil Registration and the Credit Reference Bureau run by the Bank of Sierra Leone. “This project will help create a neutral, open, and secured digital financial infrastructure necessary to unlock the significant opportunities of the economy” she added. The Deputy Minister continued that the Government is pleased that this opportunity comes fully funded (US$ 15 million grant) to help solve the country’s digital and credit challenges and will improve access to credit. Dr Laverley further stated that at the end of the Project the, the Ministry of Finance, Bank of Sierra Leone and National Civil Registration Authority (NCRA) will run the respective digital credit reference systems that will give opportunity to Sierra Leoneans to be able to secure a loan based on their digital credit history, linked to their national identity within and outside the country. KIVA will provide the technical expertise, and funding whiles UNDP and UNCDF will ensure that the technology and solutions are open and do not provide undue advantage to any specific players in the market. Other Development partners supporting the Government in the reform area are the World and the European Union.